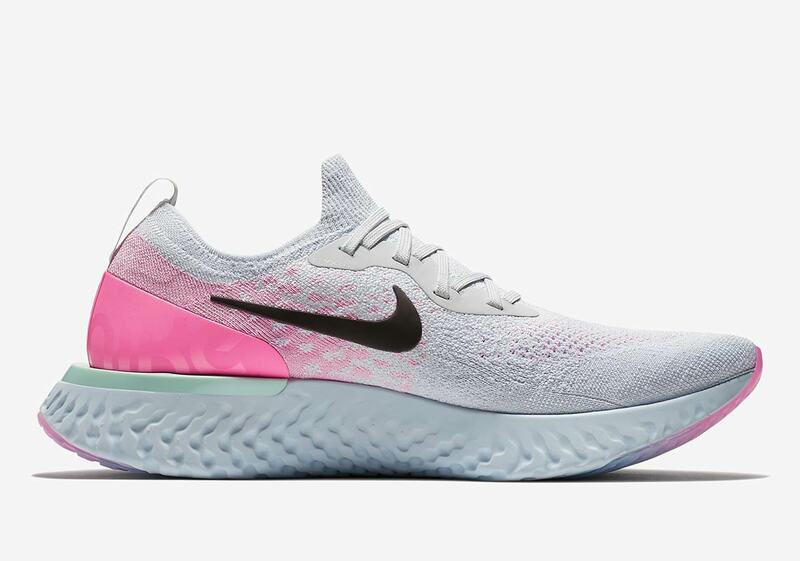 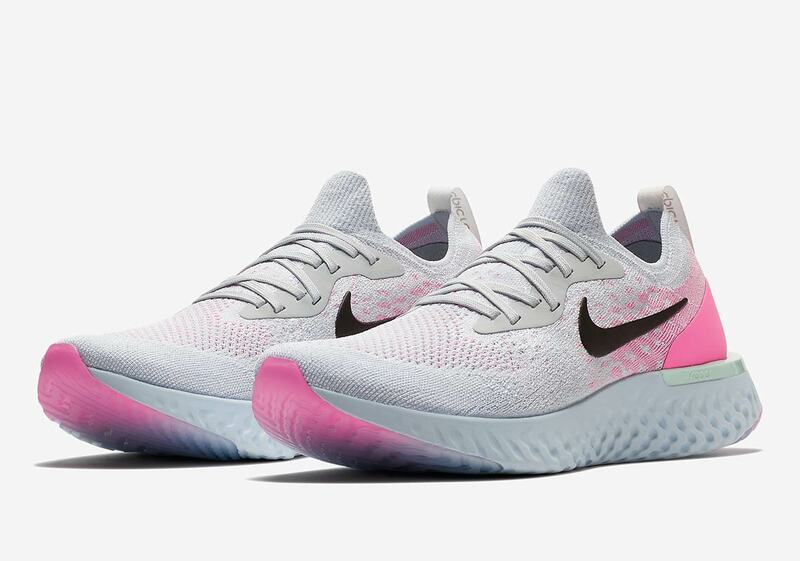 Nike’s high-tech, high-performance Epic React running shoe continues to arrive to market in a cornucopia of colorways this spring season, and the newest pair yet is this white/pink iteration. 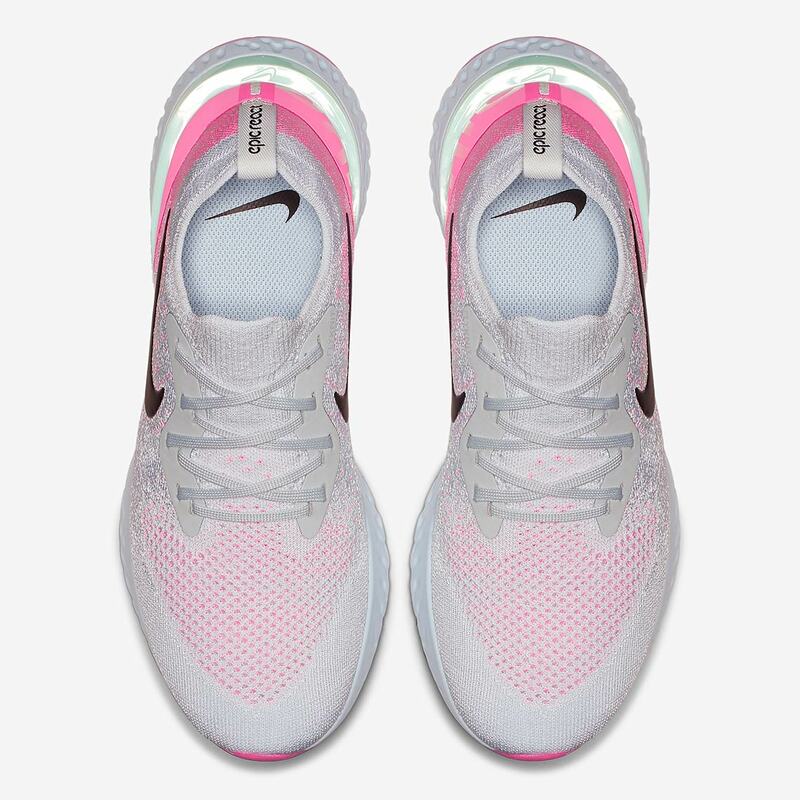 Featuring a white Flyknit upper with flecked pink detailing on the toe and midfoot, the shoe gradually fades into a more vibrant pink on the heel, where a pink heel cage provides more bright color. 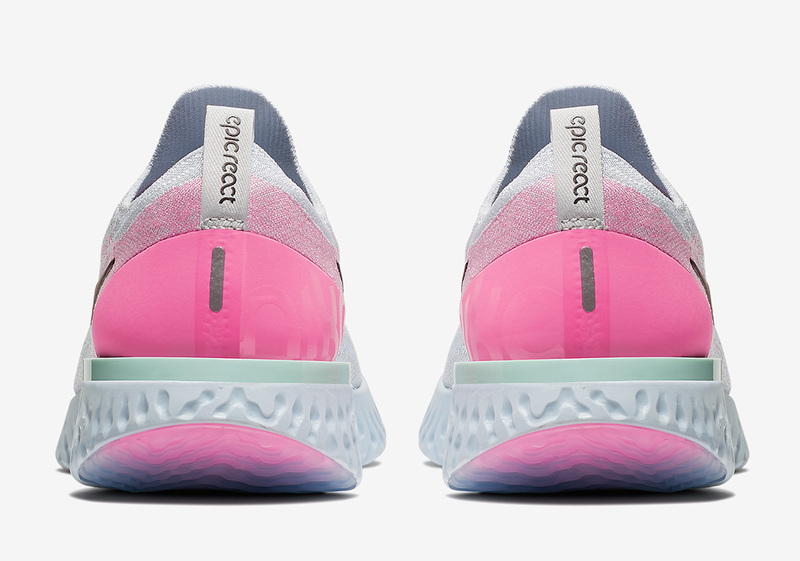 Contrast is provided by a black swoosh on the upper, soft grey laces and a mint green heel plate on the grey midsole. 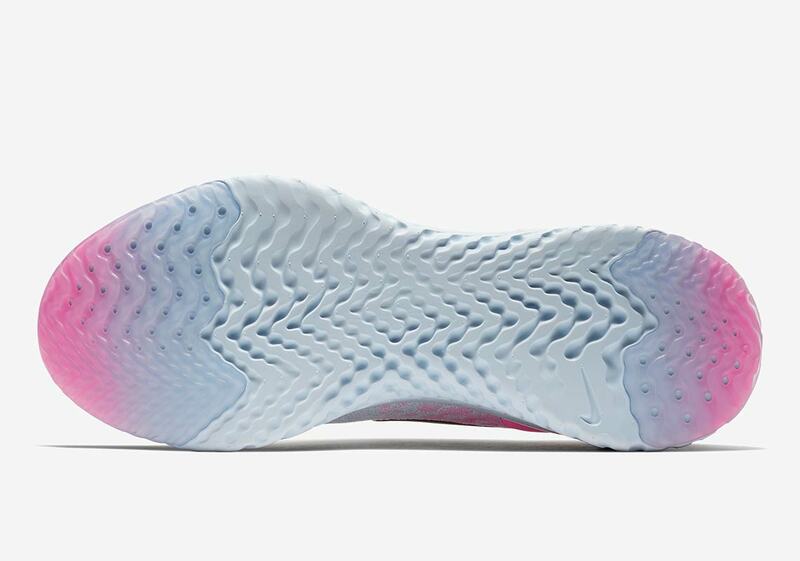 The outsole features translucent pink hits on both the heel and toe. 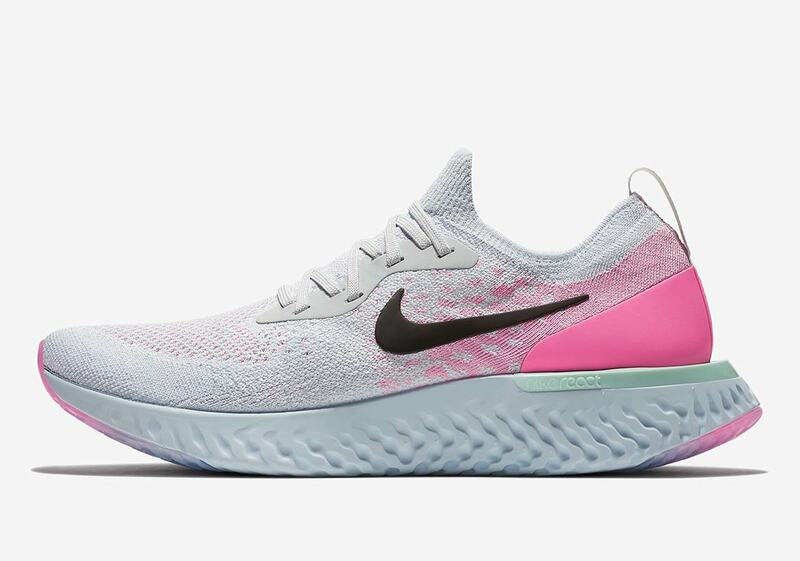 These Epic Reacts are set to release on Nike.com May 3rd in both men’s and women’s sizes for $150 USD.